Hospital Clinic. c/Villarroel 170. 08036 Barcelona. Spain. Medical treatment for knee osteoarthritis proves insufficient in a considerable number of patients, who thus require surgical intervention, with arthroplasty being one of the most common procedures. The rate of knee replacement is consequently higher in the obese population. Obese patients who undergo knee arthroplasty face a larger number of associated comorbidities than do non-obese individuals, and this greater comorbidity can lead to more postoperative complications and worse outcomes. Given that obesity defined according to BMI would cover a large proportion of the population (a quarter of adults have a BMI > 30 kg/m2 in some western societies) attention has focused on which subgroups might present the greatest problems. 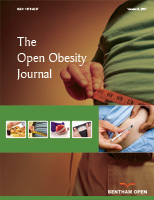 It appears that morbidly obese patients (BMI > 40 kg/m2) are most at risk of complications. Some authors suggest the need to study more precise methods for component alignment in these patients. The use of an intramedullary guide made surgical intervention easier and was associated with a significantly shorter tourniquet time. Although the studies refer greater surgical difficulties on the basis of their BMI, the difficulty of surgery will ultimately depend on the morphology of the knee. The factors associated with a worse postoperative WOMAC score in severely and morbidly obese patients were the number of comorbidities, infrapatellar anthropometric index below percentile 75, greater intraoperative difficulty and the number of postoperative complications. When starting from a comparable preoperative status, severely and morbidly obese patients show a similar improvement than other patients.